Looking forward to learn something! Some family members are willing to try a grow in their backyard. 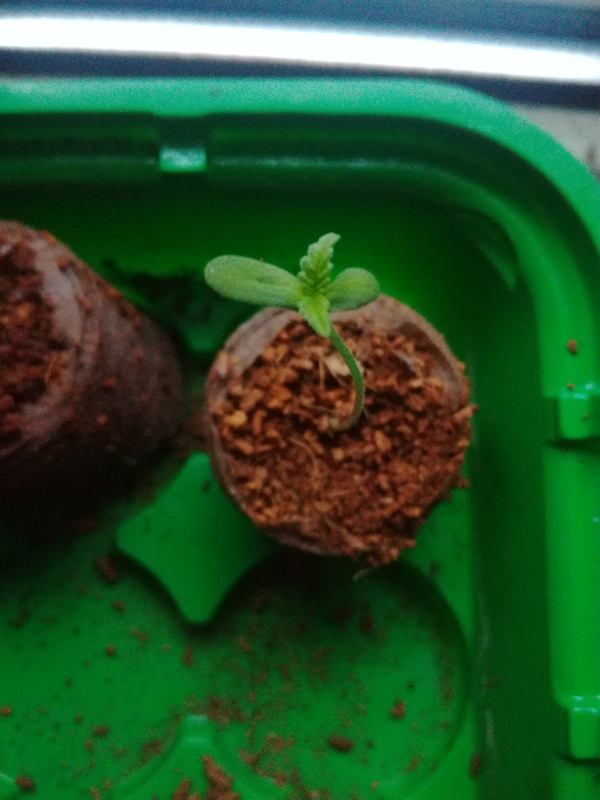 I won't give up on the sun It's still gonna be an outdoor grow (if it gets out eventually), but I might build a little extra indoors. She's back outside. She has outstretched the tomatos, craving light. 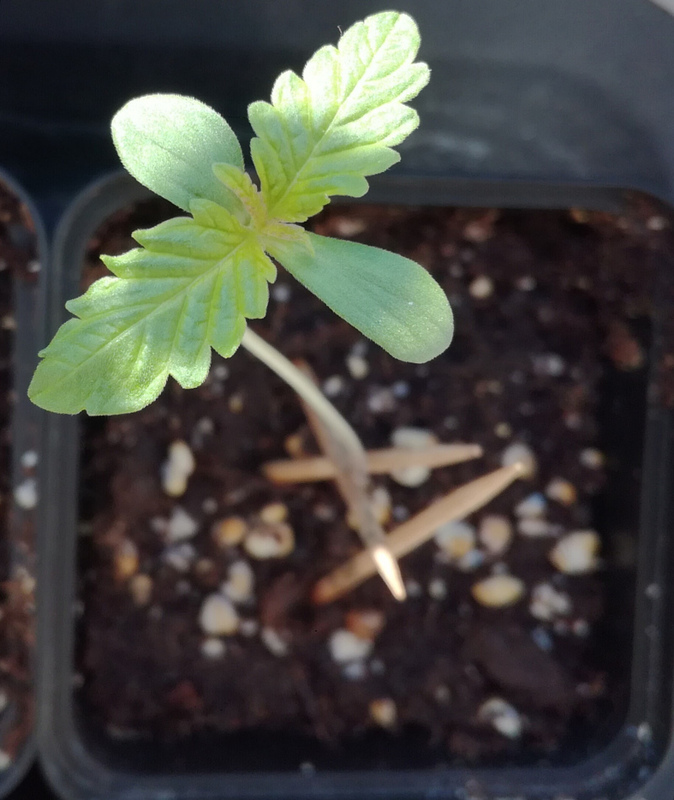 I'll leave her outside over night, I hope the birds won't chop her. The Finola is still inside. Don't want to kill it, don't want to grow it. Just toss it in a corner in the tent or somewhere in a covered corner that can stealth it outside and just let nature grow it for you. 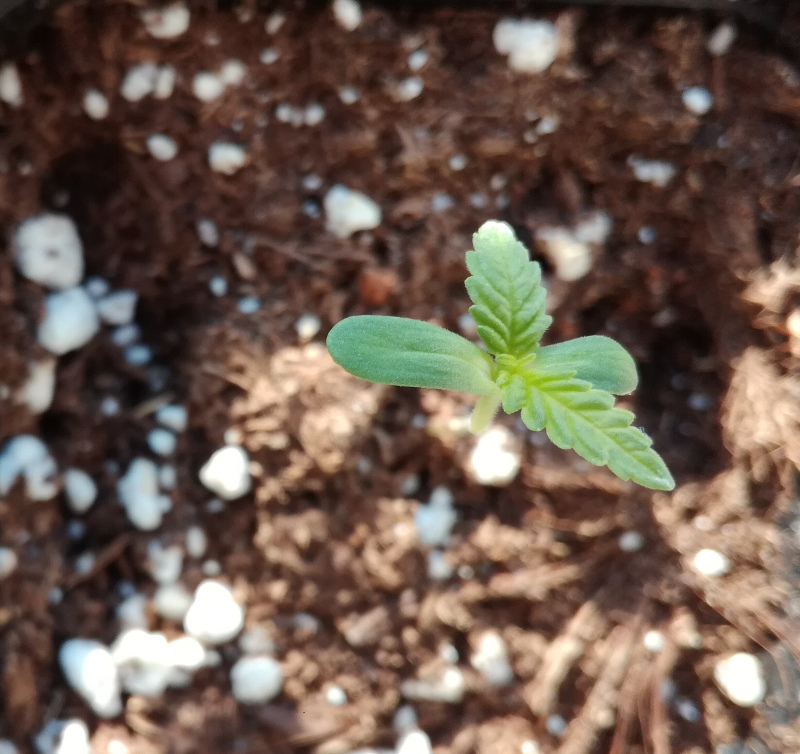 I feel you on the bagseed note, but if it's for smoke and not sale I see no issues with using bagseed. Some of the best strains to ever Grace the planet came from bagseed. With how it's growing I'd give it a chance to shine personally. 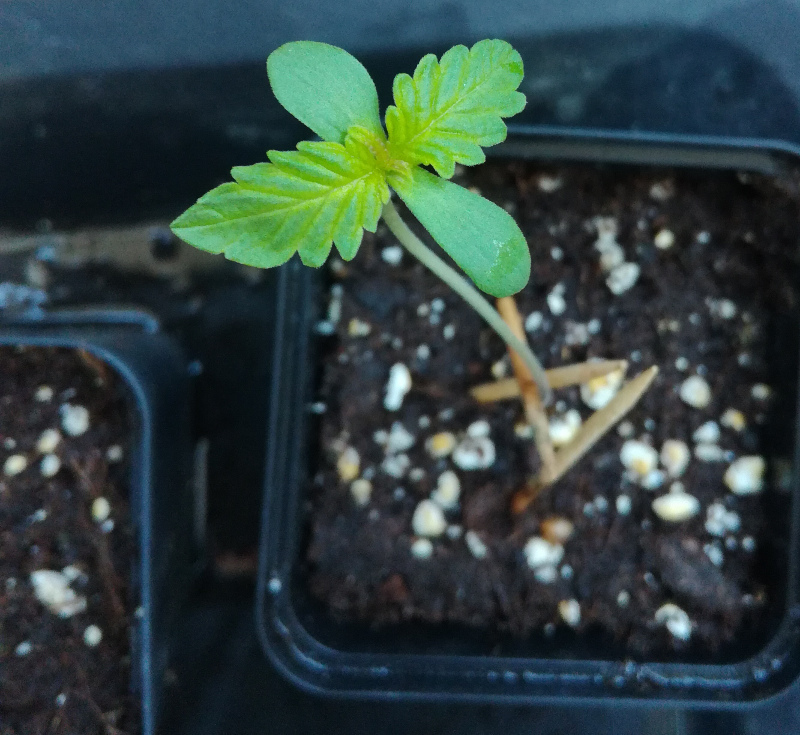 In my grow I started a bagseed that fell in a cup of water I was drinking and decided to roll with it. I couldn't be happier with how Tulip turned out. She's a GSC bagseed that is trying her best to compete with my main plant at a rapid pace and she looks way healthier too. She is a heavy feeder and if I went below what I was yelled at for using she would yellow and eat herself. Nothing I could do to her slowed her down. I've snapped her stems, given her very low light, overwatered her, and in general just treated her like she was useless and going to die. My main plant Zelda for comparison got heavily clawed with the compost I added to fix my soil structure. Tulip got a bit darker, but never clawed up. Now it's looking like Tulip will take over the tent if I let her and all because I took a chance on a seed I viewed as useless I had wanted to experiment on. Finola is a strain legal to grow in the EU, but only for farmers. It has < 0.3% THC and about 3.5% CBD. And it normally grows 2m high. I thought it was a photo, but I just read it's flowering faster than usual. Not sure if "fast photo" or maybe even auto. I also just read that farmers are not allowed to use their own seeds, because it might regain THC in following generations. If it were legal I'd definitely keep it. With prohibition, it's probably a bad idea. Higher risk to attract attention, higher risk for punishment if it gets to court … and all for an industrial hemp plant. It might be a chance to get a real boy. Not sure if I would want to breed it though. Can't decide. I'll keep it for now. Birds left her alone, sun is shining. I'll have to check for frost the next night or two but looking good so far. Finally an outdoor grow. Finola seems to be an autoflowering strain really, according to a little web search. Cool, I had no idea. Now I'm really curious to see what it does in a tiny pot. A lot of wind the last days. Had to stabilize her a bit until the stem gets stronger. 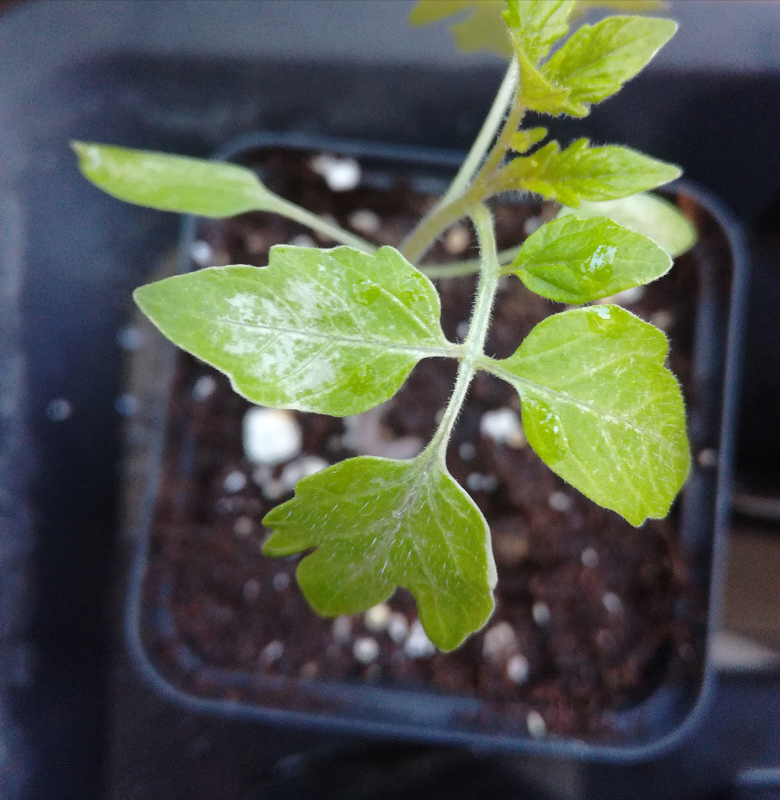 Tomatos are showing unhappy leaves. I assume its sunburn, but I saw something running around on one so everybody got their first neem shower. It's not like Mildew, I had some last grow. But I agree the picture I uploaded looks a bit like it. Not that much space to choose from and there are plants all around. The tomatoes look pretty bad. I think the cold at night followed by a few hours of burning sunlight is a bit hard for them. They'll have to figure it out. I planted a few more seeds in case they don't. The cannabises look alright, just development seems a bit slow. In hindsight, I should have started two weeks later. But I'm not the patient type. Same here , as I am loosing the burnt leaves and creatng new ones it's like having started now. There is the phenological year that "tells" the plants when the seasons really starts independently of the calendar. 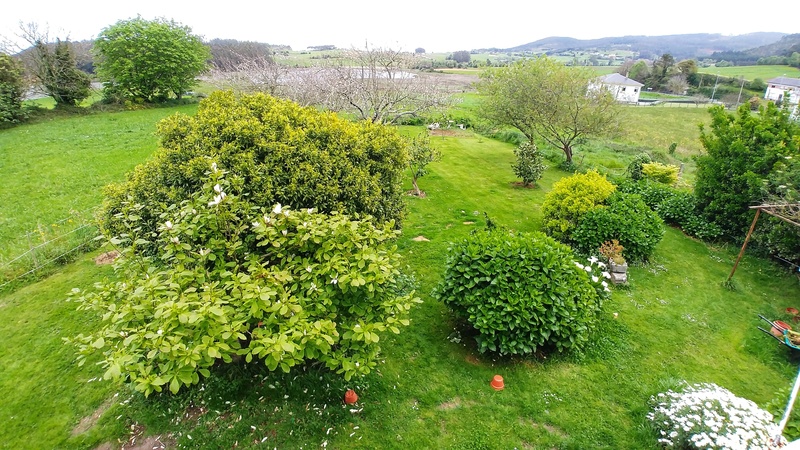 In my garden the oldest ones are the apple trees, they have more statistics records of many years so they know when the spring really comes and start flowering at that time to avoid low temperatures or strong winds that could damage those flowers. We are supposed to wait until after the Ice Saints to plant outside, to avoid frost. That's in a month. I don't have time for this. 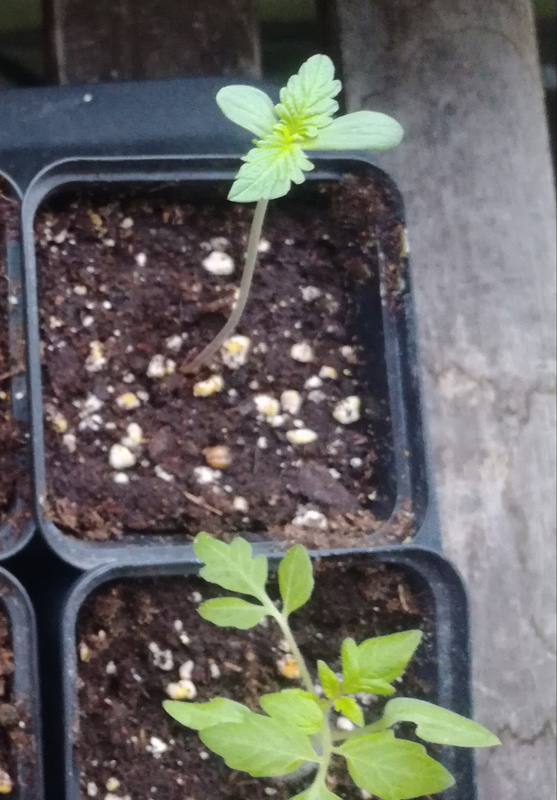 The power of climate change will help my babies to survive.